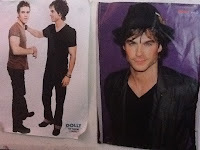 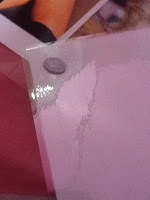 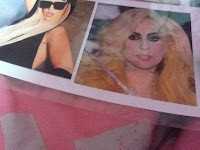 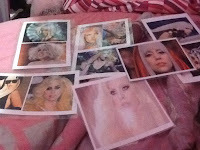 (top middle and bottom 3 posters) are pictures of lady gaga printed out and laminated. 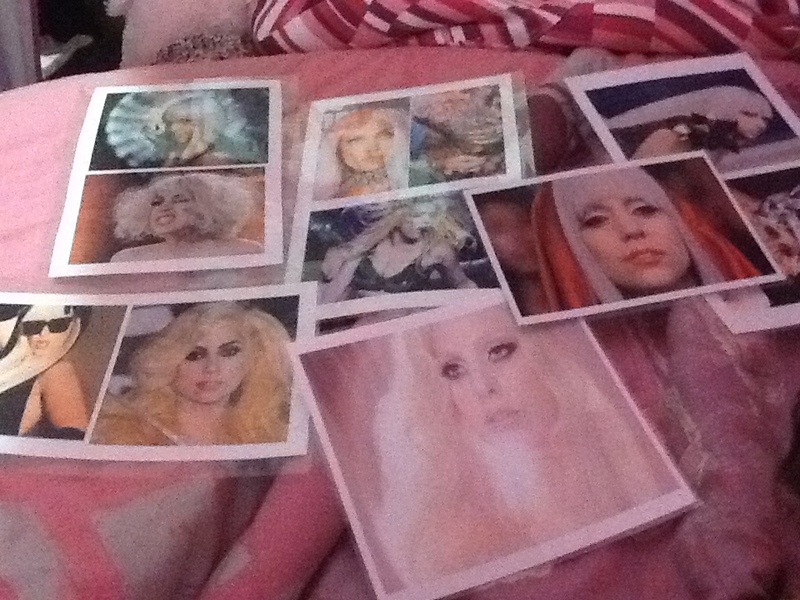 put them onto a word document, made them bigger and printed them out. 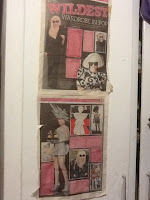 at home if you have a computer, printer, laminater and laminating sheets. the picture on your poster like your fav singer, actress, fashion, anything! 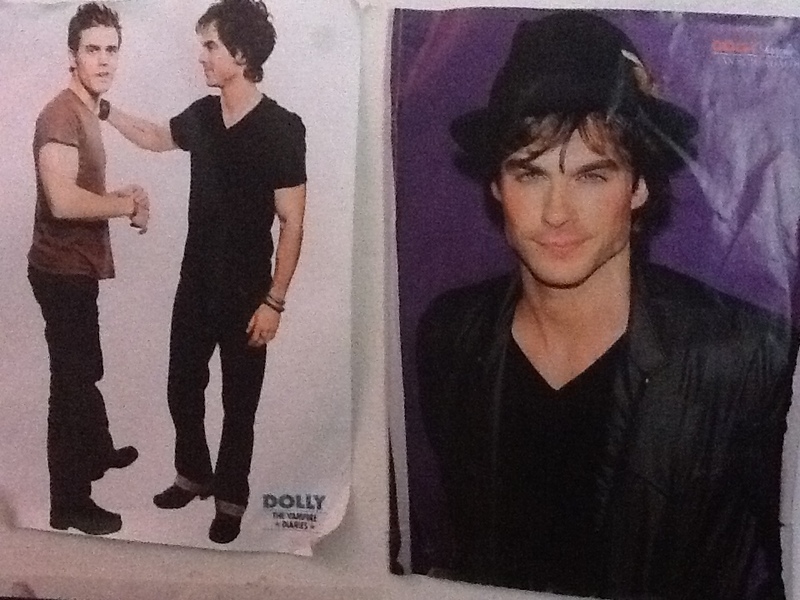 every month and sometimes come with dolly posters! 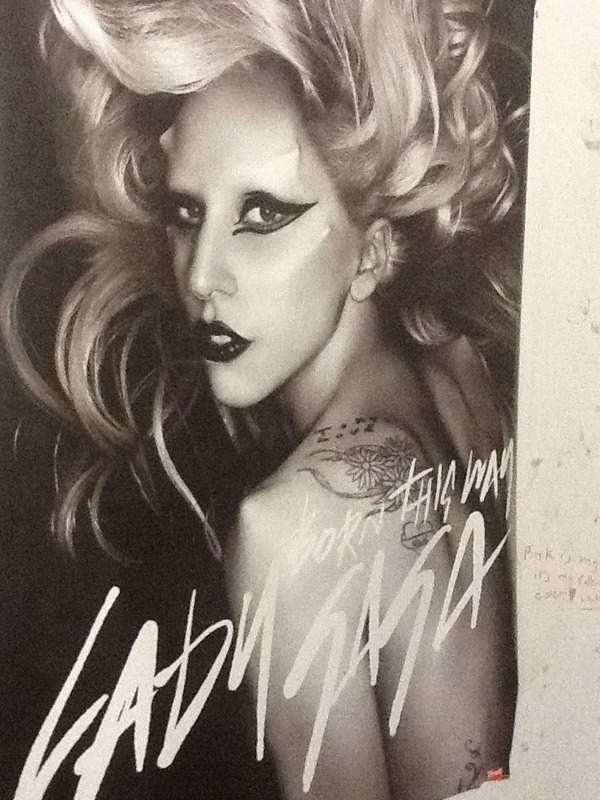 I also have a giant lady gaga born this way poster from kmart. 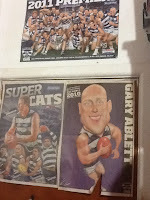 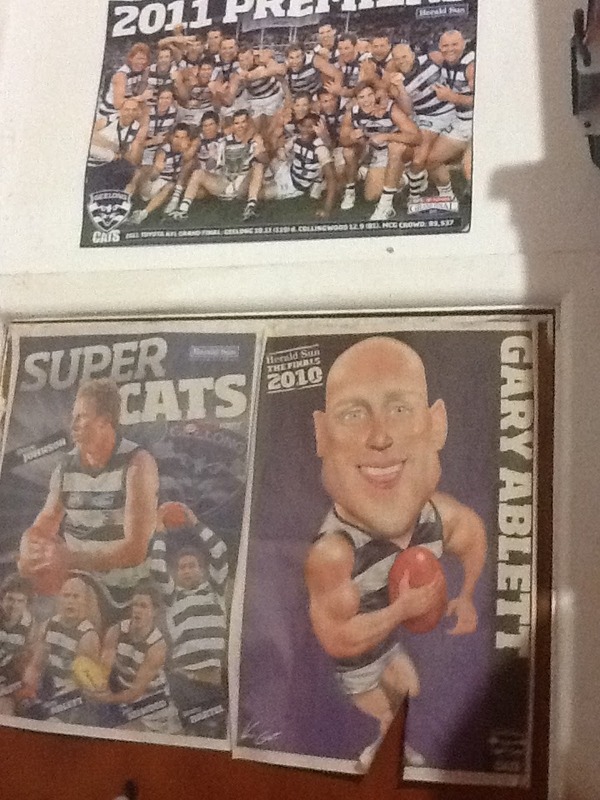 of lady gaga's "The wildest wardrobe in pop"
Oh and if you have a fav footy team you can stick up posters on your wall of them (this is geelong cats from the afl football) i got this poster from my local post office when the cats won the frand finals last year.